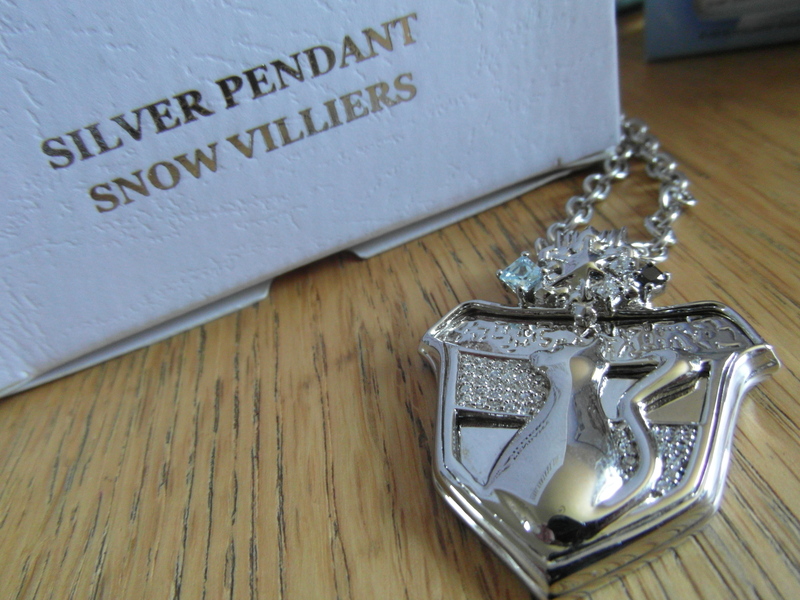 Having already purchased Serah’s Pendant I just had to get Snow’s one. 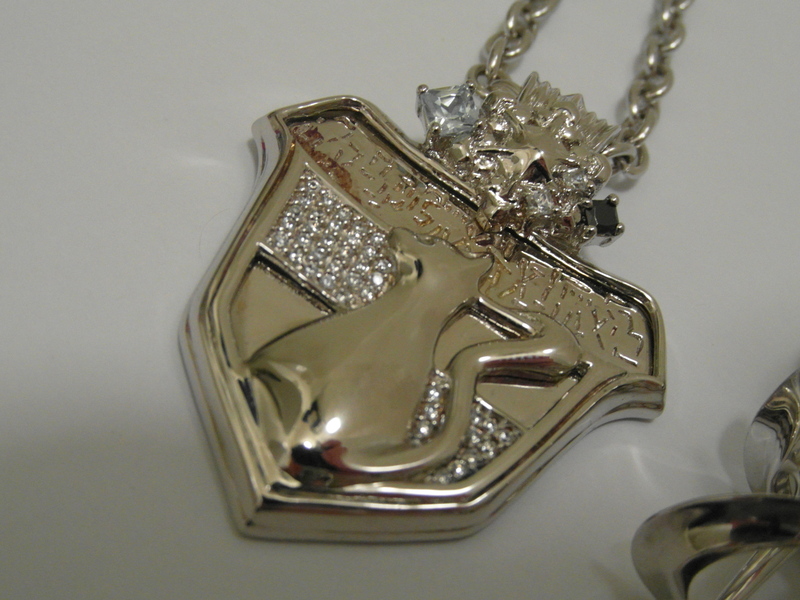 As far as quality goes, this necklace is fantastic (which is to be expected considering its price). It is very detailed and very true to Snow’s design. 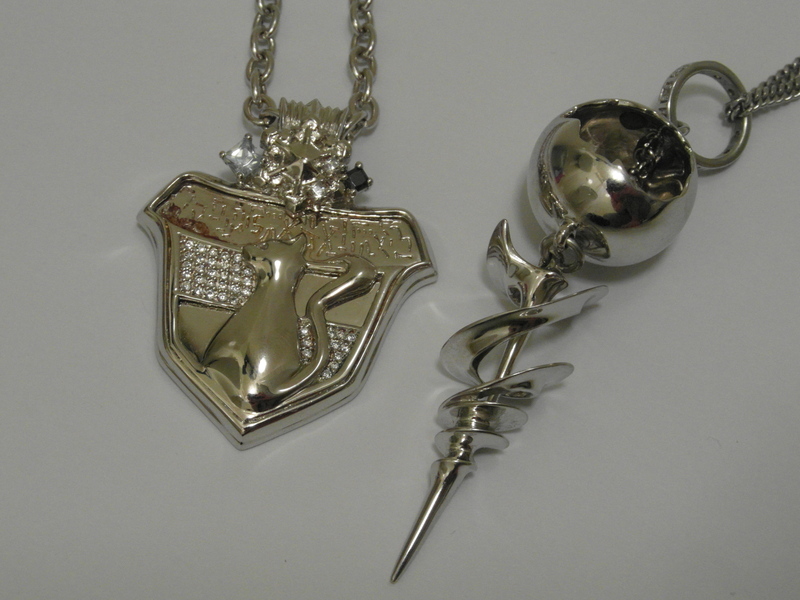 The chain is slightly thicker than the ladies necklaces but considering it is based off a male characters pendant that isn’t surprising. 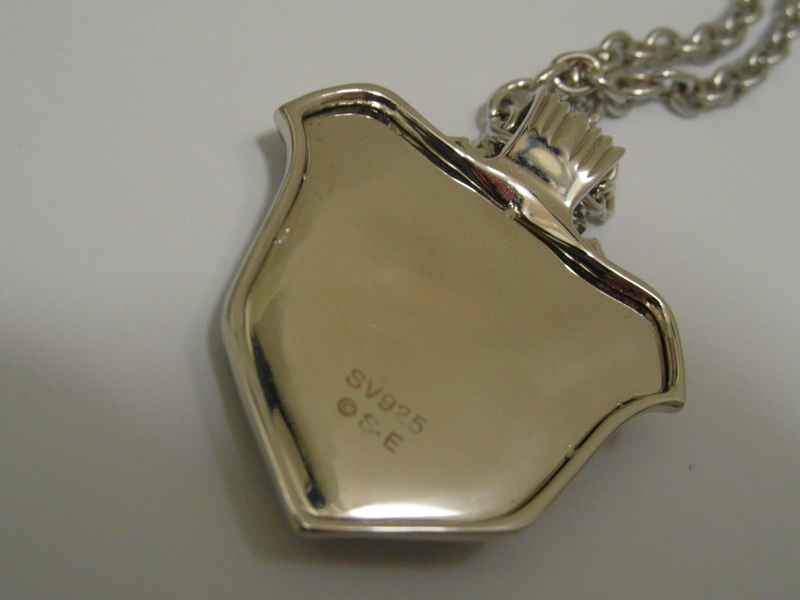 It’s not as thick as Tidus’s pendant thankfully. 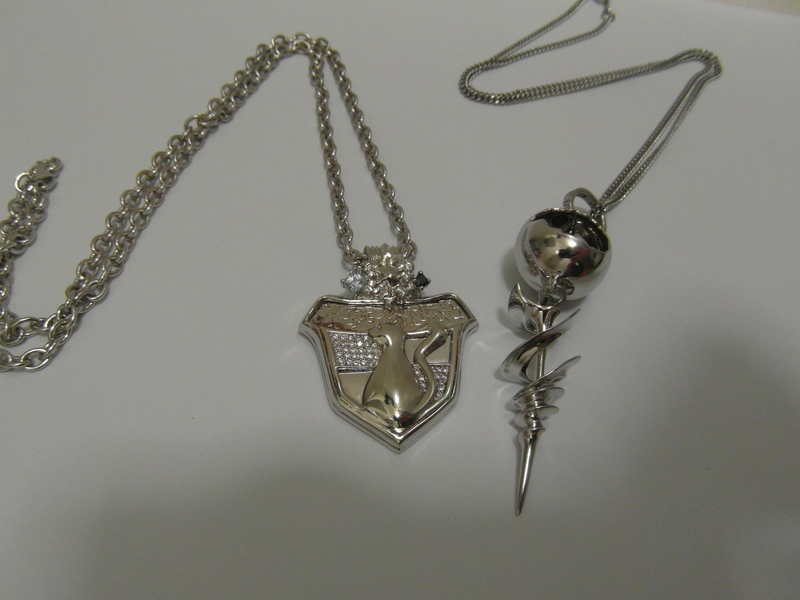 The chain length is about the same as Serah’s necklace (I don’t have the exact measurements on me) so they can’t be worn together with is a huge pain unless I shorten Snow’s by clipping it further down the chain. 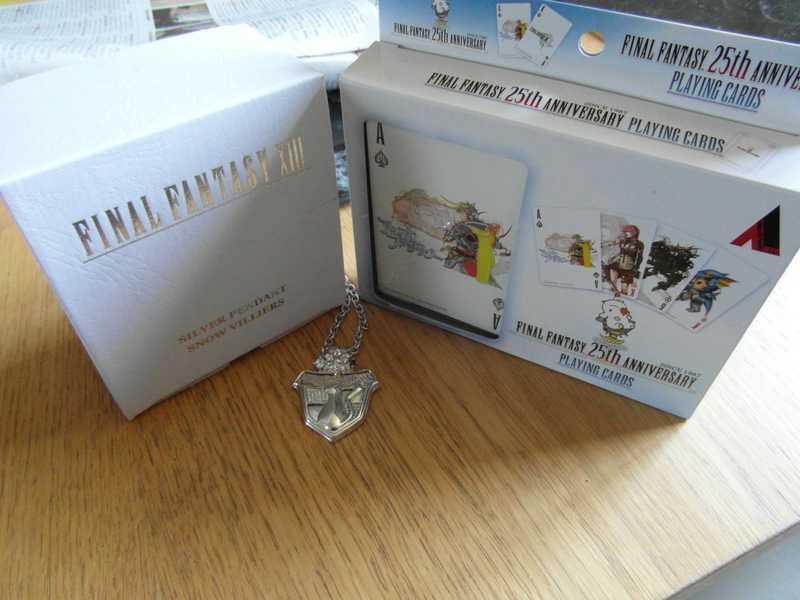 I can’t do this with Serah’s because the links in chain are too small. 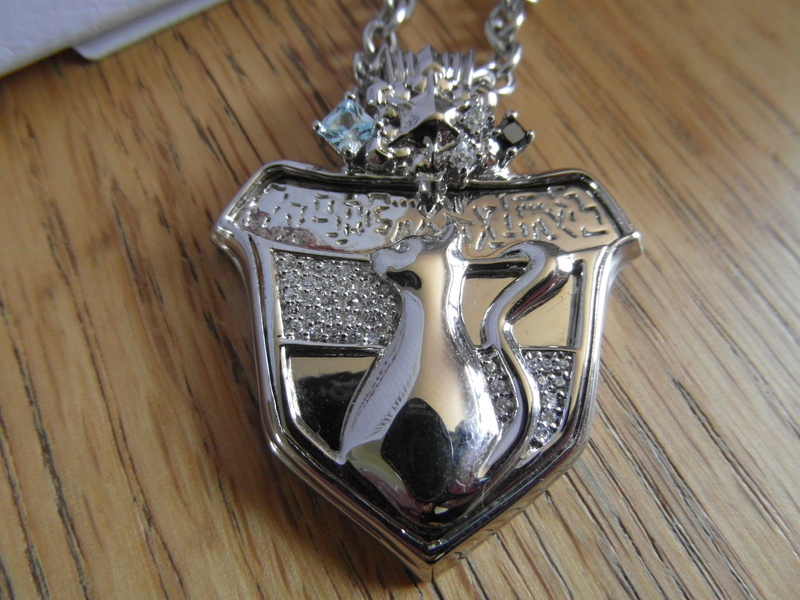 I am unsure whether this necklace would suit a man or not… but either way it’s a fantastic pendant and definitely worth the money if you’re a XIII fan!